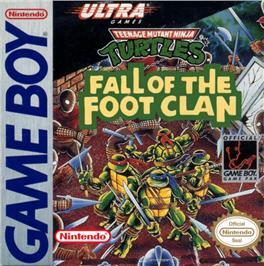 Games we remember, Teenage Mutant Ninja Turtles, or just short TMNT, Fall of the Foot Clan for Gameboy from 1990 is a game I remember playing with great joy. It´s a fighting game developed by Konami and published by Ultra Software. Teenage Mutant Ninja Turtles, TMNT, Fall of the Foot Clan for Gameboy from 1990, box cover for the cartridge. 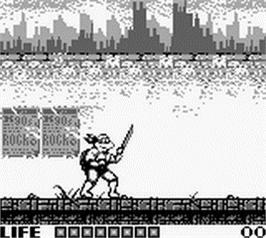 Teenage Mutant Ninja Turtles, TMNT, Fall of the Foot Clan for Gameboy (1990), in game graphics.